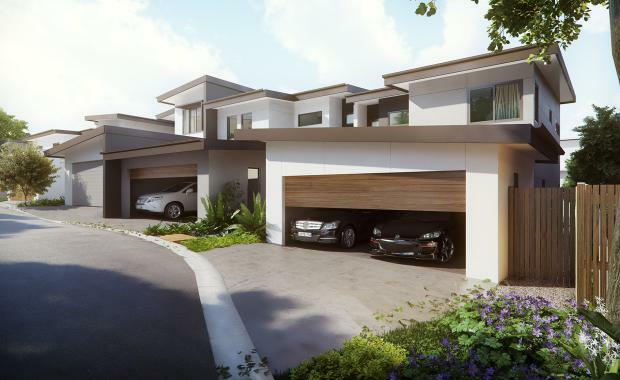 Mirvac's Greystone Terraces development is now 80 per cent sold after strong sales since its launch in February. Construction is now complete on the residents' recreation centre which includes a pool, kitchen and barbecue facilities. The first stage of 24 homes is expected to be completed early 2016, with the second stage of 32 homes due for completion mid-2016. The majority of the remaining homes for sale span three levels with three bedrooms, two and a half bathrooms and two car accommodation priced from $585,000. Mirvac Group Head of Residential, John Carfi, said homes had been sold to a mix of young professionals and empty nesters, along with investors from the southern states and overseas. Mr Carfi said Mirvac had recognised the potential of Everton Park, and designed Greystone Terraces to fill a void for executive, low maintenance properties close to infrastructure and amenities. "There is nothing else like Greystone Terraces available in Everton Park and buyers recognise that the suburb is poised to undergo significant growth over the coming years, catalysed by new infrastructure investment within the area such as the Woolworths and Masters precinct," he said. Mr Carfi said that the appeal to purchasers was two-fold. The Greystone Terraces community will include a total of 56 terrace homes once complete.